Still on my last vacation trip! 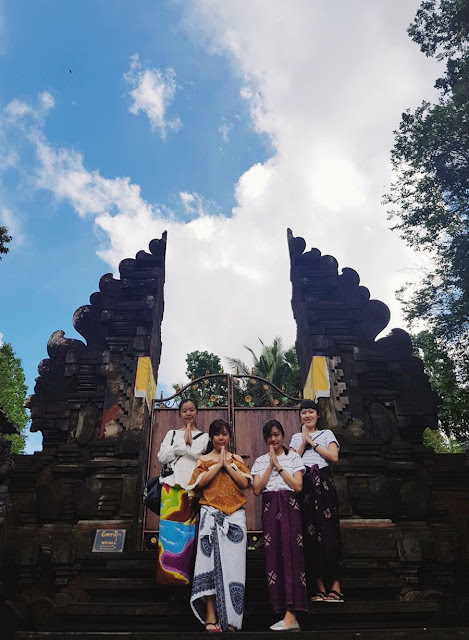 Continuing my previous post which we were still in Tampaksiring complex at Bali, we moved to the other destination to continue our 'praying' journey, Gunung Kawi. 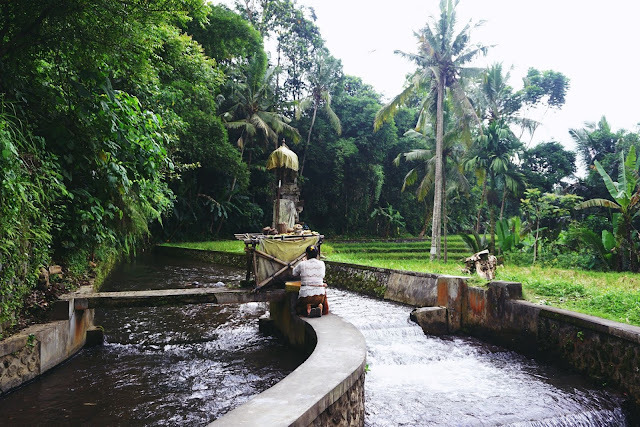 Located near Tirta Empul Temple, we took about 10 minutes by the car to go there. We didn't have a plan to go there before. Hmmm... Just because, we still had a lot of time until we got lunch, we thought we should have the other place where is the nearest location that we could visit at that time. 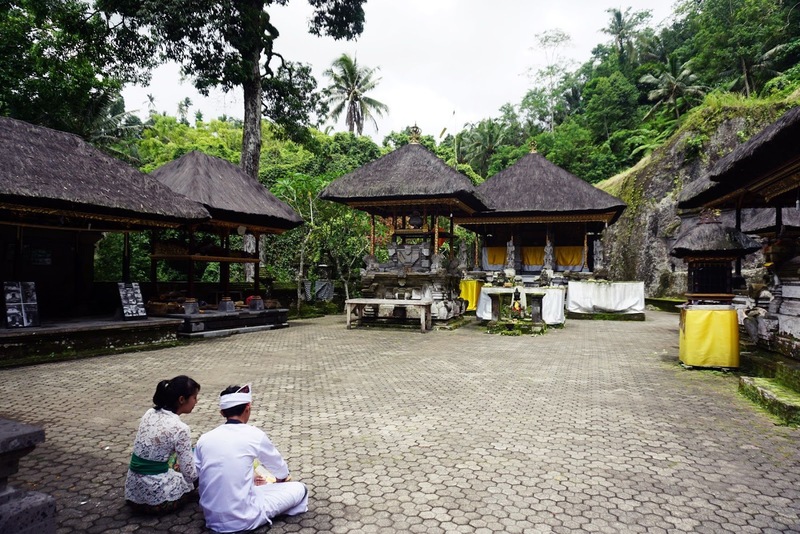 Then, our driver suggested and recommended Gunung Kawi as a historical cultural temple that we should visit. 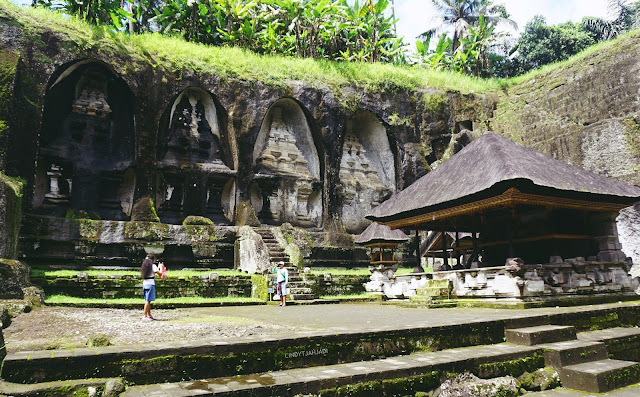 Not only brings the history but also a beautiful landscape inside! This is just the beginning, guys! This is just the beginning! Can I say this is just the front elevation? 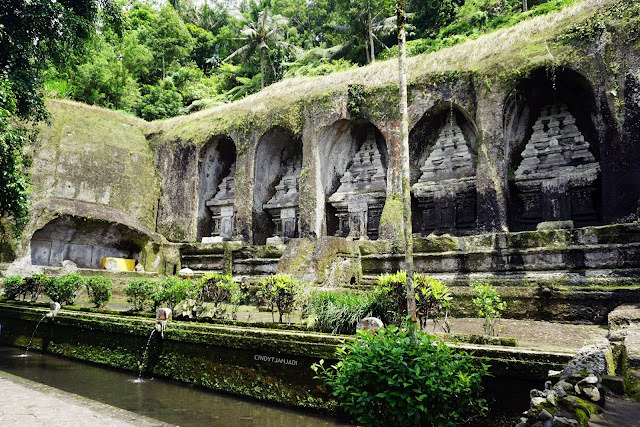 The beautiful front elevation of Gunung Kawi. 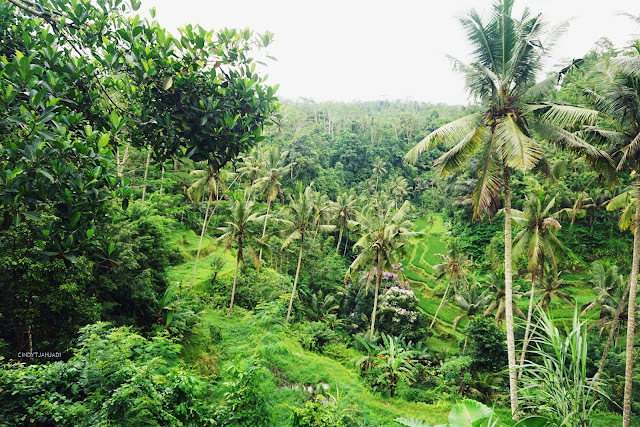 The complex area of Gunung Kawi is big. 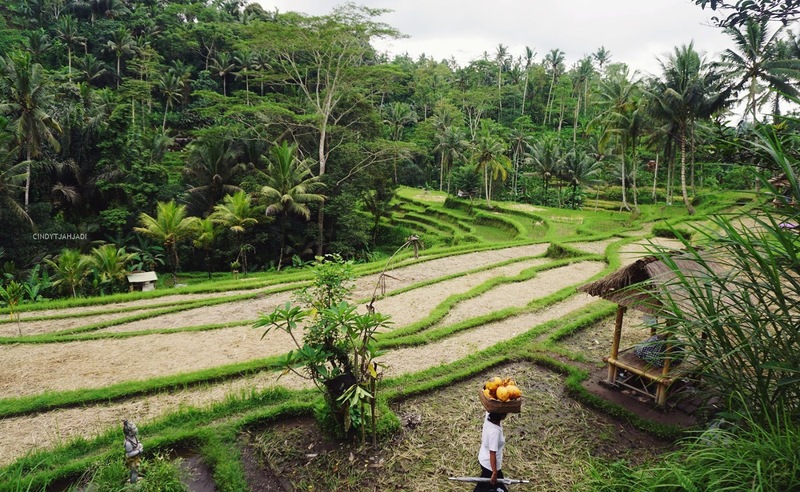 Besides of funerary complex and temple, there's also a big area of the rice fields where the local people do the plant-harvest activities actively. That's why I could see this scene. 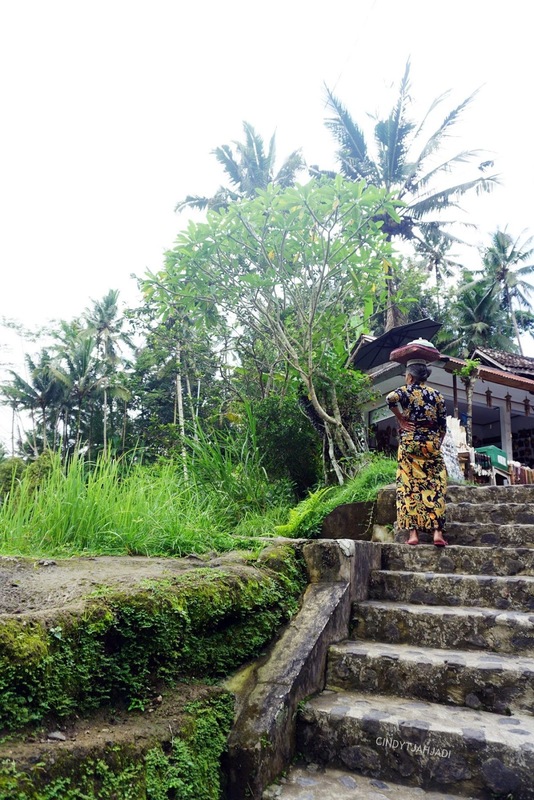 A woman who's carrying the coconuts above her head. Be prepared for long climbs, guys! I forgot how many steps that I've already climbed down and back again, but I swear there was a lot! Remembered the typology of the area is terraced, I guessed it's a lot! Lol! And... I'm so curious about the steps so I search it through the internet. They said it's over than 300 steps, guys! No wonder I was sweating so much back then, 600 steps that I've been through! Hahahaha. I'm wondering how if I was at Lempunyang Temple, they said it had 1200 steps? 2400 steps in two ways? I guess it's challenging! Lol! My thought at that time was, "How could that Grandma seem strong and doesn't have any complaints and exhausted expression on her face." Look at her gesture! So persistent! I couldn't agree more If I was defeated by the Grandma. If she could, why can't I? So, Let's go climb down more! If I think in architectural ways (my architect soul comes suddenly. Lol), there are 2 possibilities in this civilization. The first one, there were 2 big stones which uncoincidentally form this passage, then the people hardened the passage with the stones. The second one, they broke the stone and made the passage. Remembered the stones are huge and there's a river alongside too. Referring to that, How do you think? Talking about the civilization. 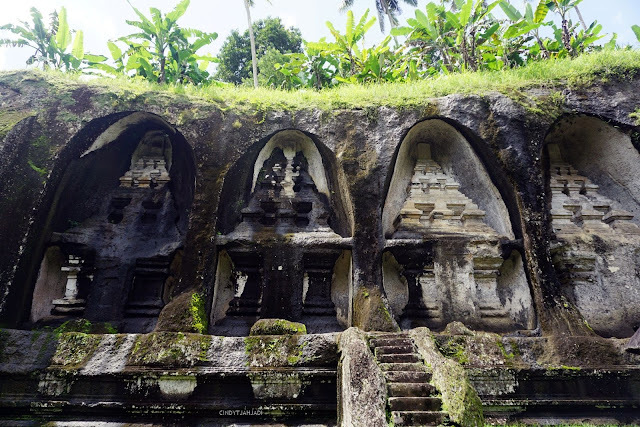 These funeral monuments were made in the 11th-century in Udayana Dynasty to be a memorial to a Balinese royalty. The five monuments on the eastern bank dedicated to King Udayana, Queen Mahendradatta and their sons Airlangga, Anak Wungsu, and Marakata. And... Legends relate that the whole group of memorials was carved out of the rock face in one hard-working night by the might fingernails of Kebo Iwa. (source: lonely planet) How could him?? Wow! 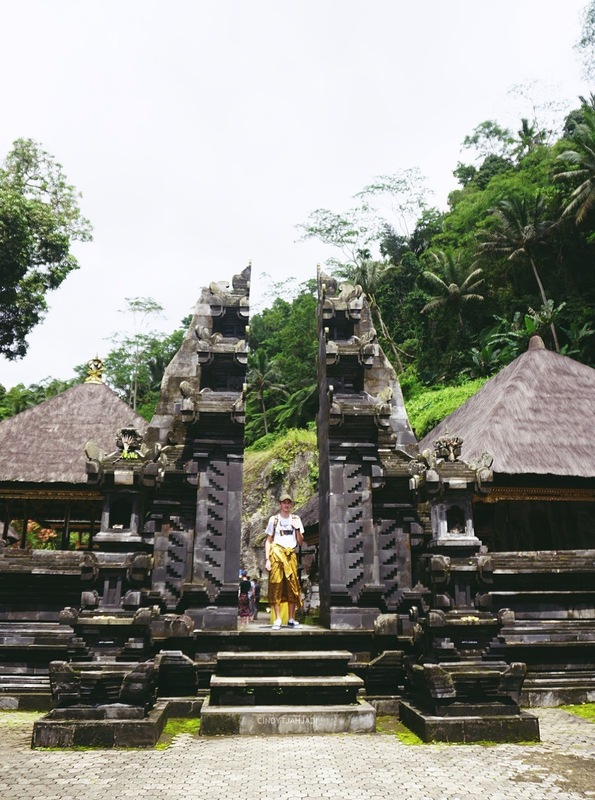 When I took some pictures here, I coincidentally heard the explanation from the local guide about this Pura's gate (I eavesdropped. Lol). So, the local guide said there's the meaning of this Pura's gate. 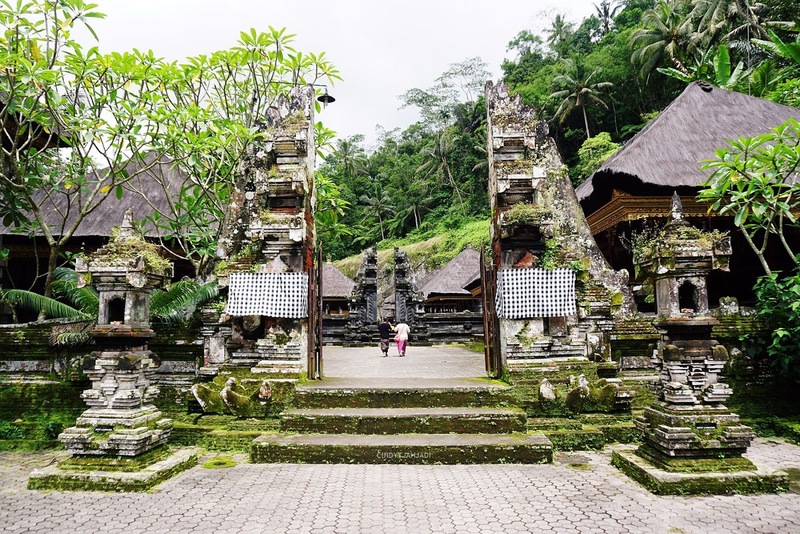 Every time we want to enter the sacred area, there always has 2 gates, the left one, and the right one. The left one means bad karma and the right one means good karma. It's all about the balancing. When you enter the sacred, let the bad karma be replaced with the good one. Nice! Such as an interesting quick tour of the ancient shrines for me! 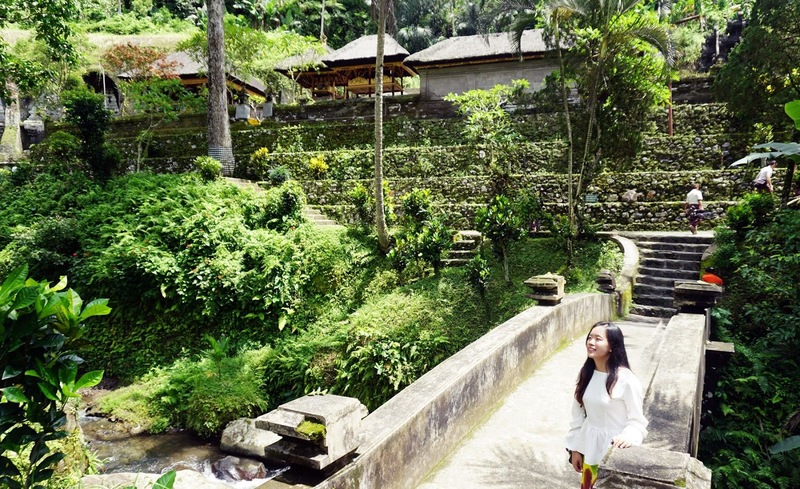 Besides of the amazing shrines and strong ambiance, the beautiful and fresh landscape made this trip was so awesome! 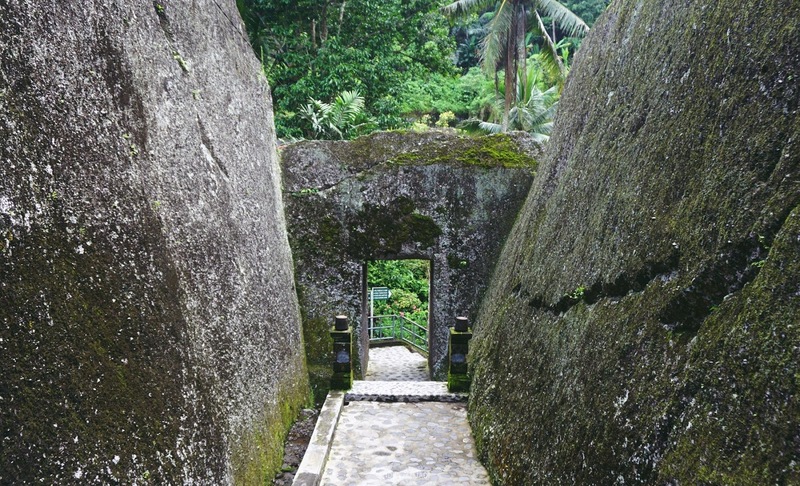 Even over 600 hundreds of big step stones is ahead and made me exhausted, Gunung Kawi is worthy to visit! Even I didn't realize that I've climbed down that much, because I enjoyed it. I just realized that I was exhausted when I found a small shop near the entrance area, bought the cold water and drank it in one shot! No wonder! Hahaha. And... At that time, the sun was scorching too! No kidding! So, that's it, guys! My little touring in Gunung Kawi. Hope you enjoy this article! Once again, let my photography talks and brings the perspective! Leave the comment below if you want to ask something about Gunung Kawi or discussing this place! Thanks for reading, see you on the next journey! 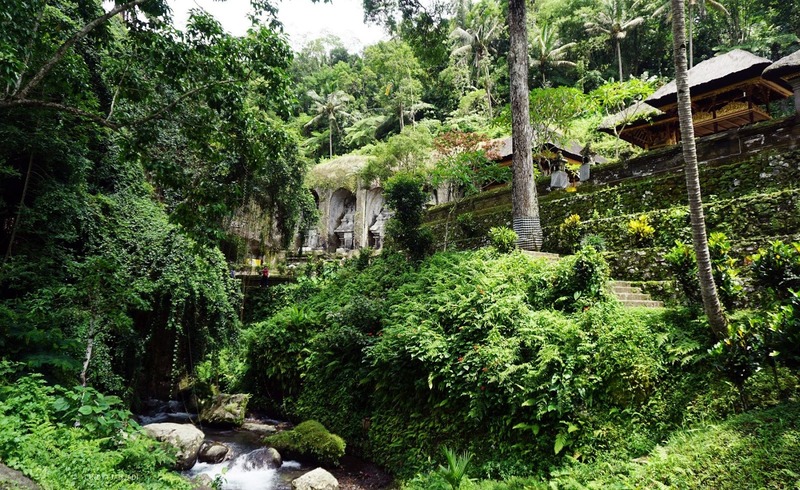 I'll visit one of the trending restaurants in Bali which is offering the uniqueness of its place! See yaa! !